Kenneth MacLeish studies how war, broadly considered, takes shape in the everyday lives of people whose job it is to produce it—U.S. military servicemembers and their families and communities. His book, Making War: Everyday Life at Ft. Hood, was recently published by Princeton University Press. Based on 12 months of ethnographic fieldwork at and around the US Army’s Fort Hood in central Texas, it shows how the challenges of military life originate as much from the relentless demands of the Army itself as from the violence of enemies in combat, creating a distinctive condition of vulnerability in which violence is as routine, boring and normal as it is shocking, traumatic and disruptive. The book draws on theories biopolitics and affect as well as more traditional anthropological analysis to show how the institutional governance of life and death reaches into the most banal and intimate details of everyday life. Ken’s teaching reflects this same interest in the experience of organized violence and the categorization and labeling of human suffering. 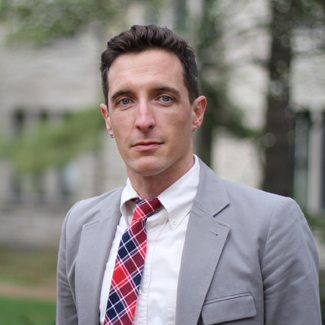 He teaches the interdisciplinary seminars War and the Body and Perspectives on Trauma, as well as the Anthropology of Healing and the new MHS core course Politics of Health. Making War: Everyday Life at Ft. Hood: Based on 12 months of ethnographic fieldwork at and around the US Army’s Fort Hood in central Texas, it shows how the challenges of military life originate as much from the relentless demands of the Army itself as from the violence of enemies in combat, creating a distinctive condition of vulnerability in which violence is as routine, boring and normal as it is shocking, traumatic and disruptive. The book draws on theories biopolitics and affect as well as more traditional anthropological analysis to show how the institutional governance of life and death reaches into the most banal and intimate details of everyday life. The Bodily and Psychic Impact of War: Examines how medical and protective technologies, diagnostic categories, institutional and political pressures, and cultural ideas about violence all shape the experience of war and the interpretation of war-affected bodies and minds. Military Mental and Behavioral Health Programs: Addresses resilience, suicide prevention, “risky” behavior, and the trauma associated with “moral injury.” These efforts to manage the harm and healing of soldiers raise provocative questions about how moral, technical and medical categories work together in military settings and broader social conceptions of war violence.